CFE's newest gimmick that some are calling a scam. 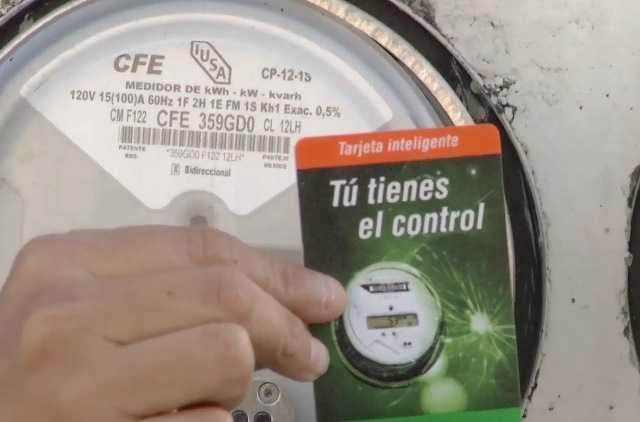 Lots of news articles about technical difficulties with incorrect meter readings, over charging and the difficulty of dealing with the new system and CFE in general. Once you get on this program you become responsible for reading your meter with the card, taking the card to CFE and putting it in their machine for a printed bill .... and then paying it "once a month". You are assigned a day of the month to read your meter and then probably have a few days to pay it. A whole new payment program. Problem with this is if you don't do it correctly and on time your electricity will be shut off. What if you go on vacation, what if you only live in Mexico part of the year, what if you have rentals, what if you are not able to visit the nearest CFE office or it is very difficult to do so. Supposedly prepayments won't be allowed so paying ahead for time you are gone may not be possible. Really ridiculous for CFE to think they can replace human meter readers with the public and a magic card. Just remember this program is voluntary and you can decline even if they give the impression it's required. And if you got into this program without understanding it .... go to CFE and cancel now !! You almost expect to hear about highway robberies along the Michoacan coast with the recent disruptions to the Templarios activities. Well last week some Gringos in an RV lost the jeep they were towing by being forced to stop and relieved of the jeep at gun point. They were near Coleta de Campos. Below is a foto they took from the RV as the jeep drove away. You don't expect to hear about it in this area .... let alone a pattern of it. Two nights in a row people were robbed on highway 200 between here and La Manzanilla near the El Tamarindo turnoff. A good reason to reconsider driving at night if you don't have to. Only day trips to La Manzanilla. 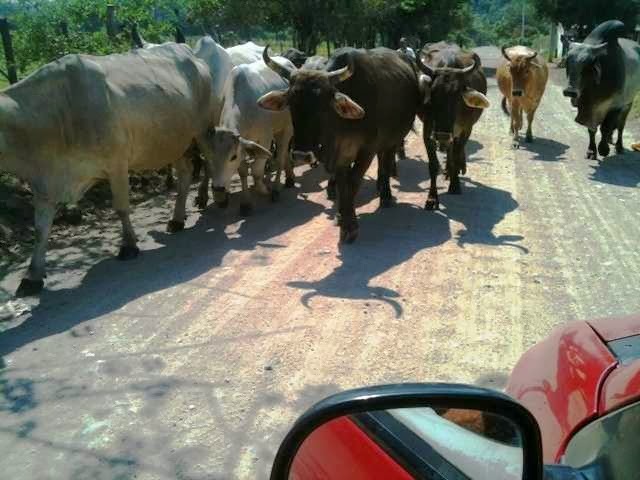 Another issue may be that this is taking place on the border of La Huerta and Cihuatlan Municipios - no mans land. The robbery occurred last Wednesday, Feb 19, between 9 and 9:30 pm. Two men were in separate pickup trucks, one went in front of the victim's vehicle, the other behind. The one in front suddenly braked at the Tamarindo entrance and pulled the victim's vehicle over. Both men had guns and the victim was pistol-whipped and robbed of cash. The robbers were violent and spoke of gang connections. I was told the same thing happened the following night (Thursday Feb 20) to a different driver, also from La Manzanilla, in the same place, again around 9 pm. He was also pistol-whipped and robbed. There is no cell-phone reception in the area where the victims are being targeted. The victim I talked to is afraid to report it to anyone, for fear of his and his family's safety. He said the same would be true of other victims. 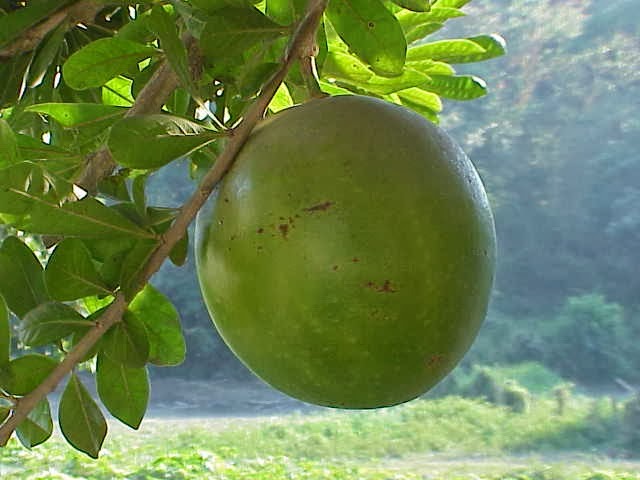 The first foto is of a Cuastecomate fruit on the tree I took 5-6 years ago in Ranchito. The owner said something about medicinal qualities and you could make bowls of the shell. I've not seen the tree, the fruit or anything related since. 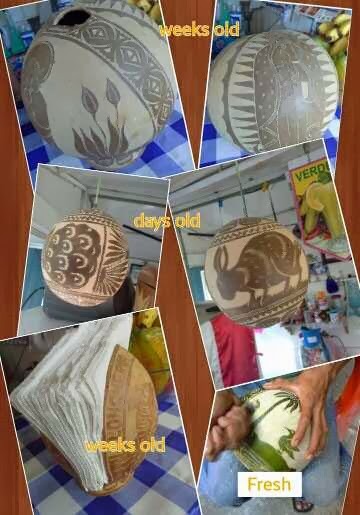 One of the local gringos recently found this young guy that carves the shells into really nice pieces of art. It takes a couple hours of carving but can take over half a day in the hills looking for the trees. 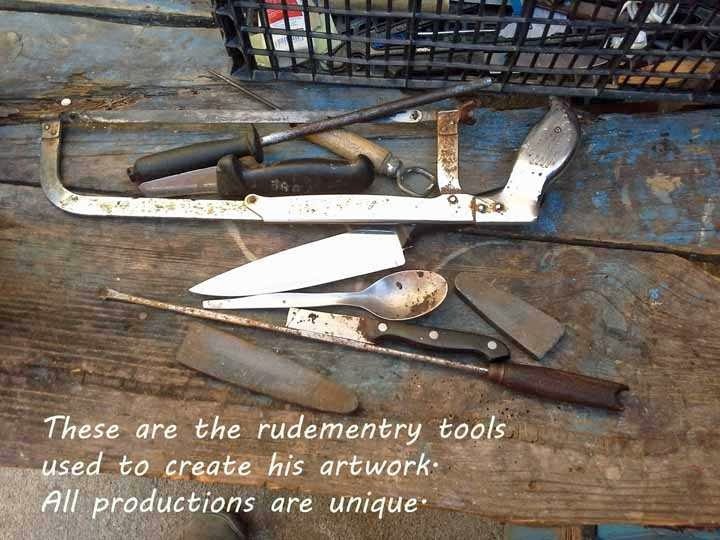 I waited until I spoke with the artist and bought some of his wares before I posted the related fotos and video. Still would like a little more info on the process ... like what is inside and how do you get it out. Also are they seasonal and you can only work with them at this time of year. Just a passing shot as we headed for Melaque today. All you have to do is slow down for these big guys as someone is moving them to a new pasture. Sometimes they are really loose but most of the time they have a chaperone on horseback. The brahma bull of the herd ?? I couldn't resist when I saw this in my neighbors yard for-sale. I have a thing for dawn of the industrial revolution but still pre-electric mechanics. First thought the brand was Chay Rub but with a closer look it's Chav Rub made somewhere in Guadalajara. With the correct name I was able to find the second foto and see I am missing a return spring. Mine is also a #6 and the 2nd foto is a #4 which means I can do oranges and small grapefruit and theirs just oranges. I once bought an aluminum lime juicer because it looked stronger .... the small hand squeeze kind. I was eventually told to get rid of it and buy plastic. The acid of especially limes reacts with the aluminum and can give a fowl taste to the juice after awhile. My new one is aluminum but the cone and cup are stainless and oranges are a whole lot less acidic than limes. So this one cost me 150 pesos and list new for about 500 for this large size. 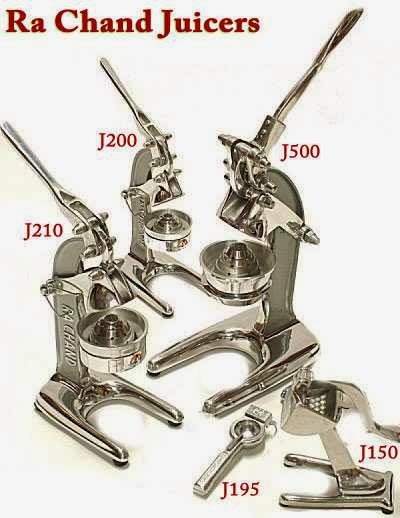 Chrome it and advertise it as a "Bar Juicer" in the US and ask $194 dollars. Maybe both companies using Mayan names .... Chav Rub and Ra Chand? This was on a Sunday trip to two dams up the Marabasco river. This dam is the first just past Cihuatlan and is a diversion dam for irrigation. One side goes to Colima and the other to Jalisco. What this dam does for people wanting to relax and cool off on the weekends is creating several swimming holes both above and below. Spending a day here used to be a much more regular thing until Hurricane Jova came through in 2011 and swept away all the shade trees and changed the whole river bed. The swimming holes are coming back but there is no shade to speak of. Be smart and bring your own if plan to stay the day like many do. I'll call them flowers but technically they are a wild grass that seems to do best along roads and highways of Mexico. You'll see small patches away from the roads but long ribbons of this grass line highways in many areas. Very noticeable along the highway to Manzanillo from our area where the only color is green except for two pink/orange ribbons. Took these photos on the dirt road along the Marabasco River. I mentioned the old map with the Hacienda de Jaluco from the previous post to neighbors and they said, "Oh, you mean Pamplona". Searching Pamplona and Jaluco shows it's a common name in the area. 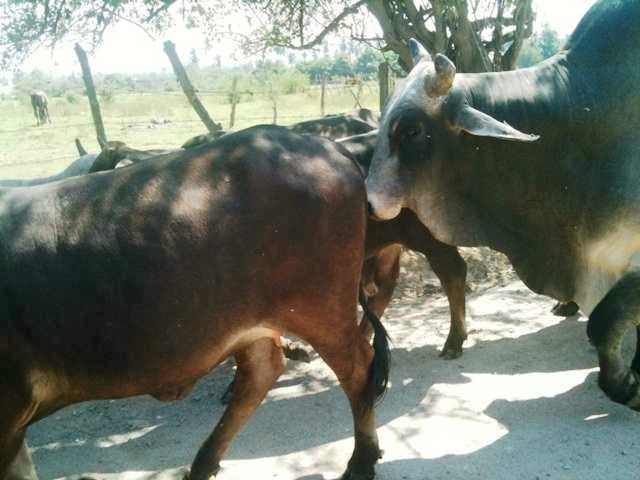 The Paty Ramirez web site says that Hacienda Pamplona was expropriated in 1938 to create the Jaluco Ejido. With references to Antigua Hacienda de Melaque and others it seems the grand Jaluco Hacienda was subdivided over time. Some search articles show up on Diario Oficial de la Federación web site and require an account to view ... and I was surprised I could create an account. So the interesting part came when neighbors told me the old Hacienda building still exists and stories of ghosts and buried gold. Some families have found gold in the past, some got rich and others died from the curse. If walking around at night and see a "lumbre" (glow) there should be gold buried there but only the person that sees the lumbre may dig for it. These stories were not told in jest so I assume they are believed to a certain degree along with the pleasure of the tale. We dropped by the old Hacienda site on the outskirts of Jaluco after the school run yesterday afternoon. If it wasn't pointed out you would never know it was there. Except for a few very small brick structures there is nothing left of the house except part of one wall. The part supported by the tree may be original but the rest looks to be redone. Still part of history for some. Grandma in the neighbors family is 86 and she used to work as a "servant" in the Hacienda. Huge parties were held on the grounds for workers. Very few houses anywhere in the area back in the 1940's and beyond. I hear grandma has some interesting stories to tell and likes to tell them. I go round and round on the Internet trying to follow leads of just about anything of interest. The latest is trying to follow up on some very old history of this area. It's not surprising I found nothing because finding good info from the 40's or 50's for this area is difficult to impossible. Probably doesn't help that my Spanish is not the best but I do know searching with Spanish works better than English for things like this. The below map was posted on a Manzanillo/Colima section of Facebook. It's reportedly from the 1900-1920 era which would be pre-revolution. It's of interest to Colima because it gives credence to their age old claim to "La Culebra" which includes Isla de Navidad and Playa Los Coco's. What interests me is that big section across the top marked Hacienda de Jaluco which includes all of Melaque, Barra de Navidad, Jaluco and probably back to the mountains. 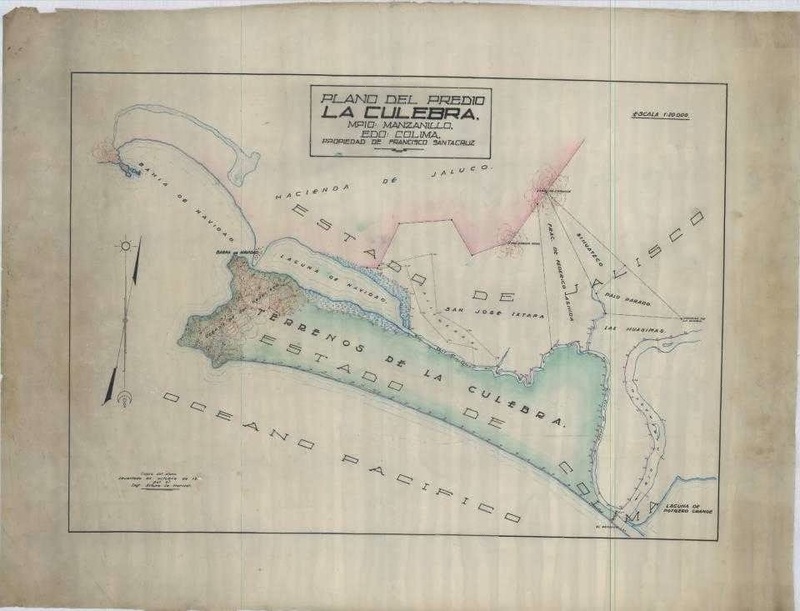 Also interesting how Laguna del Tule winds it's way over to the current canal in west Melaque. Well I'm taking a break from this bit of history but if anyone else has a clue ... please leave a comment. If you don't know one person in Mexico with a similar attitude then you are missing out on alot. German Manuel Loza, better known as Larry Donas ("Larry Donuts" in English). From selling donuts on the streets in Mexicali to talk shows and signing a contract with Universal Music. "I sold three donuts for 10 pesos or one for 4 pesos. For six donuts, a ballad was included,"
The songs were a mix of covers and originals penned by Loza, and were a huge hit with customers. Some of them recorded the donut vendor's heartfelt performances with their smartphones and posted the videos on YouTube. Those recordings became the catalyst for Loza's dramatic change of fortune. The videos went viral, receiving hundreds of thousands of hits. Eventually his soaring popularity on social media networks attracted the attention of the local media and catapulted Larry Donas onto the national stage.